Suicide Squad Joker actor Jared Leto had to bulk up to play the villain. However, Leto has followed a vegetarian and vegan diet for years, which made gaining muscle a little more difficult for the 44-year-old. In a 2015 article in Billboard magazine, Jared Leto revealed his secret to gaining muscle mass while eating vegan tacos. Jared Leto’s vegan diet interview mentioned that the actor had to eat every couple of hours, and it noted that he’s terrible at eating a lot of food. Basically, the secret to Leto’s super-ripped Joker body is eating lots of healthy vegan snacks that are high in protein and calories. Is Jared Leto vegan or vegetarian? The Thirty Seconds to Mars singer has been eating a vegetarian and vegan diet for around 20 years, but his diet does allow for some wiggle room. 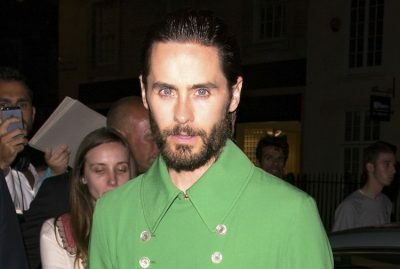 For starters, does Jared Leto eat fish? The Academy Award winner apparently doesn’t eat meat ever, but he does call himself a “cheagan,” which is a cheating vegan. Leto admits that if someone’s mom handed him a cookie, he’d probably eat it, and he would probably eat wild salmon from the river if he were in Alaska. Therefore, his diet appears to fall under the “flexitarian” category, which allows for some animal foods on occasion. A true vegan diet excludes all types of animal foods including meat, poultry, and fish. Vegans and vegetarians consume plenty of plant-based foods like vegetables, fruit, beans, lentils, and gluten-free grains like buckwheat, brown rice, and quinoa. Other good non-meat protein options include unsalted seeds, nuts, and nut and seed flours and butters. Vegetarians are able to eat dairy and eggs, whereas vegans avoid all animal products. Leto also loves his vegan recipes, especially vegan pancakes. Leto-style vegan pancakes include a family recipe comprising buckwheat pancake mix, maple syrup, olive oil, vegan butter, an egg substitute like a flax mix, and almond milk or soymilk. Leto also makes sure to stay away from processed sugar and alcohol. Jared Leto’s workout for Suicide Squad role of Joker included activities like cycling, hiking, sit-ups, crunches, and yoga. Leto is an adventurous hiker who has enjoyed three-and-a-half-hour treks through a mountainous 8,000-acre park. He also has the stamina to cycle 10 miles. Leto prefers outdoor workouts over the gym and indoor exercises. He loves spending time in nature and taking part in various adventures. Jared Leto is no stronger to weight gain and weight loss in preparation for film roles. For the 2013 film Dallas Buyers Club, Leto had to lose 30 pounds to play a transgender woman. In 2007, Leto gained 67 pounds to play John Lennon’s assassin, Mark David Chapman, in the movie Chapter 27. To get into character for that role, Leto ate giant pizzas and everything that you’re not supposed to eat. Lynch, J., “Billboard Cover Sneak Peek: Jared Leto Talks Gaining Weight to Play the Joker in ‘Suicide Squad,’” Billboard web site, February 19, 2015; http://www.billboard.com/articles/news/6479914/jared-leto-gaining-weight-playing-joker-suicide-squad. “10 Vegan Snacks to Help You Bulk Up Like Jared Leto,” PETA web site; http://www.peta.org/living/food/jared-leto-vegan-diet-build-muscle/, last accessed August 5, 2016.